SEVEN members of Penrith Swimming Club attended the Sunderland Firecracker Gala, held at the Sunderland Aquatic Centre. The facility is a superb and inspiring environment and the event is held in an modern, Olympic-sized, 50-metre pool. The Penrith swimmers acquitted themselves well to the different challenge of competing in a larger pool and also coping with the early start required. A special mention should go to Saskia Todd who was third in the 50-metre freestyle on the first occasion she has raced in a 50-metre pool. 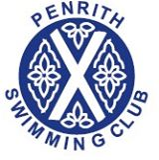 The Penrith Swimming Club internal gala will take place over the next three weekends.